Probiotics improve digestion, helping to digest food and delivering more energy and nutrients to your body. These beneficial bacteria also produce Vitamin B Complex in your intestines (a natural stress reliever and mood enhancer). 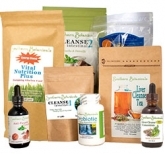 When your digestive flora are alive and well you feel healthy and energetic. When there is an imbalance in your intestinal flora, digestion is incomplete and nutrients are not assimilated fully. Additionally, scientists have recently found that 70% of the immune system resides in the human gut lining where probioitics play a vital part. So a healthy population of intestinal flora helps YOU stay healthy. They may also dramatically reduce bad breath and body odor, because when the intestines are clogged your body will use the lungs and skin to eliminate wastes. 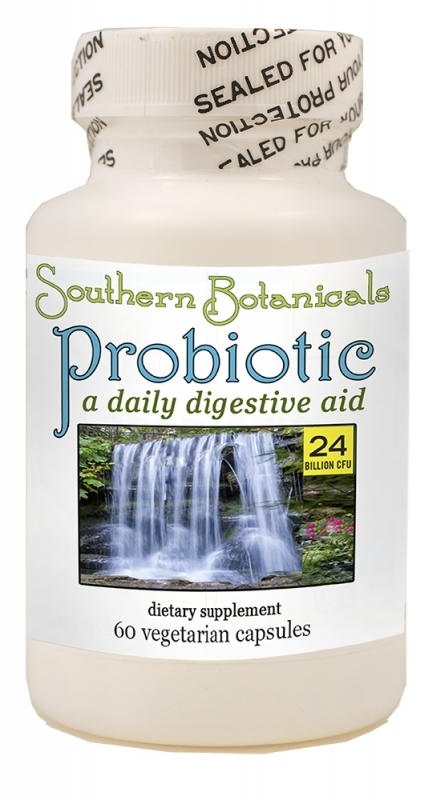 Our super-strength Probiotic formula is extremely pH stable. This means that the friendly bacteria will not be destroyed by stomach acid even if taken with a meal. In fact, you can take your daily serving whenever is most convenient for you, with or without food. Warning: Your intestinal flora may be destroyed by antibiotics, including antibiotics fed to factory-farmed animals giving you meats, dairy, poultry and eggs that can destroy your internal flora. Drugs, chlorinated water, pesticides and food additives can also damage the delicate ecosystem in your body. Without a healthy, balanced probiotic population, your body is less able to absorb vitamins, minerals and vital nutrients. This can lead to fatigue, emotional issues, sleeplessness, and more. This is where a super strength Probiotic can save the day! 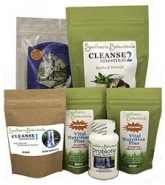 Our Probiotic works very well with cleansing supplements, and enhances their effect. It helps normalize bowel movements. The strains in this probiotic are known to colonize the human system successfully without competing amongst themselves, so you can repopulate your intestinal tract with beneficial bacteria that survive. Lactobacillus acidophilus is the most common form of "friendly" bacteria or Probiotic. These bacteria can protect your body from harmful disease-causing bacteria. When L. acidophilus digests foods in the intestines, lactic acid and hydrogen peroxide are created. These bring about an inhospitable internal body environment for harmful bacteria. Lactobacillus plantarum has a remarkable capability to colonize the intestines ( colonize refers to the presence and multiplication of microorganisms without tissue invasion or damage). These colonies coat the intestinal lining and prevent pathogens from entering your gut. It also produces mucin which inhibits the growth of harmful bacteria. L. plantarum basically creates an environment that is unfavorable to yeasts, molds, bacteria and pathogens but very conducive to health. Lactobacillus salivarius is a recently developed strain , needing a special culturing technique. L. salivarius thrives in the small intestine. According to recent research, these bacteria enhance dental health by lowering the number of several strains of plaque-forming bacteria. L. salivarius can survive both in an oxygenated environment or an anaerobic one. It reproduces very quickly, which provides your intestines with more beneficial bacteria and saves you money. L. salivarius has the ability to dissolve undigested protein and release toxins formed by protein putrefaction so they can be eliminated. Streptococcus thermophilus helps general digestion and also makes lactase for better milk digestion, reduces diarrhea, strengthens the immune system and fights respiratory infections. Take 1 or 2 capsules with or without food. Two capsules between meals will cause the greatest cleansing effect. This may be all you need for improved regularity. 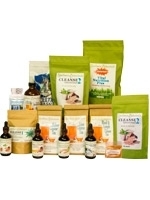 If your bowels already move every day, try taking one capsule with food once or twice a day for less cleansing effect. Either way will enhance energy, digestion and immune health.